College tuition is getting more expensive every year that parents and students are frustrated to find ways to help pay for college. Luckily, there are many ways to get scholarships, bursaries or awards to help fund your education. While some students are lucky enough to win scholarship easily because of their outstanding academic performance, others find it difficult even to get qualified to enter the scholarship let alone competing with applicants who have academic excellence. Well, not all scholarships are about academic achievement, you can get a scholarship through community involvement. Community services go hand in hand in securing rewarding college scholarships. The relationship between the two is closely connected. 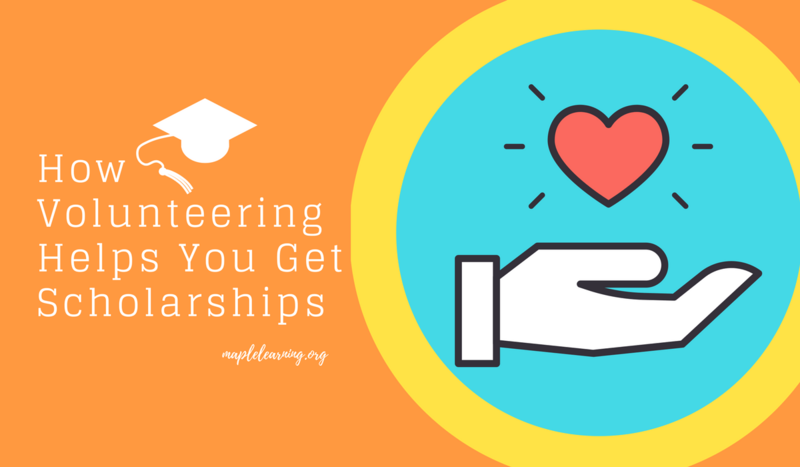 Volunteering can be a key factor that will secure you a scholarship. Many local and international organizations offer scholarship funding to students who demonstrate community involvement and leadership skills. The scholarship awards are meant to appreciate and encourage students to get back to their community helping to make a better place. The more hours you commit to community services, the higher your chances are of winning the scholarships. Make sure you keep track of your volunteering hours so that you can easily reference them when they are asked for on the scholarship application. Many students are often fully loaded with huge amount of assignments and other school works that make them have no time to volunteer. If that is the case, consider volunteering when you are on summer breaks. It is a great way to spend your summer break by helping the community while having fun at the same time. If you work on summer breaks, try to volunteer on the weekend or holiday for an hour or two if possible. Volunteering is not only a way to gain volunteer hours to meet your high school requirement but also a way to show your support for the community. Also, it helps you develop soft skills, learn new technical skills and build connections. Volunteering is the first step towards gaining experience that benefits you in your future career. There are many volunteering activities you can choose such as volunteering in school, place of worship, library, community center, not for profit organizations and neighborhood. You can also consider creating a not for profit project that benefits the community. Volunteering with registered not for profit organizations will be an ideal option for you. Although it does not really matter where you volunteer, you are still making a difference in someone else’s life by helping them. Writing an essay for a scholarship application is the most common thing to do for students. You may be asked to write an essay about you and what you have done and make it interesting to read. This is an excellent place to put your volunteering experiences. Make sure what you write is relavant to what is required in the scholarship application. Your aim is to impress the scholarship judges. Make sure you write the best essay possible to win the scholarship. Little mistakes can cost you your entire scholarship application so make sure you go through every detail of the essay requirements, and make sure you don’t miss anything. These are few reasons why you should start volunteering if you haven’t already. It helps you secure a scholarship, gain experience, and get involved in the community.